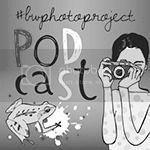 The B&W Photography Project Week 29 with PODCast and you might have spotted this one in colour on yesterday’s #365 post. On Tuesday I travelled down to London to visit the Toy Fair at Olympia. I’d got my day organised well and had planned a number of meetings as well as free time at the start and end of my visit. I was dropping Monkey off at school and Daddy P was collecting him later in the day, to give me a couple of hours extra to get home. Our train station is within walking distance of the school, I’d got a good book to read. All was going well for approximately 15 minutes and then the train stopped. A train had broken down further down the line, uum, that was the end of my grand plan then! I finally arrived in London an hour later than planned with a half hour tube trip to get me to Olympia. I walked through the underground to start my journey and this is what I found. A totally deserted platform. It really rather spooked me out. In all the years I’ve travelled on the underground during the day I’ve never had a platform to myself. Has this ever happened to you? I was mighty relieved when a busy tube train arrived so I could continue on my way! Looks really eeire in black and white! It did in colour too! That would be a bit spooky!